Smallville: Tom Welling featured on the cover of TV Guide! 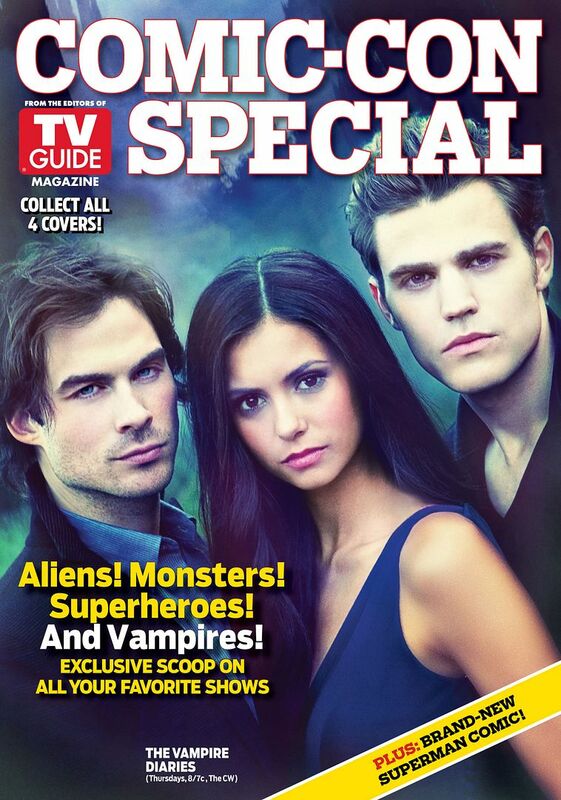 Sneak Peek: TV Guide Magazine's Special Comic-Con Issue! 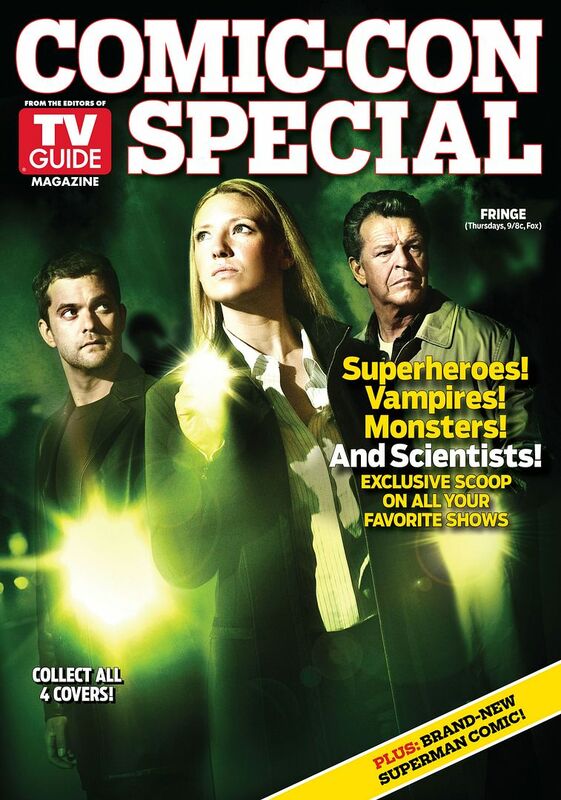 TV Guide Magazine and Warner Bros. Television have teamed up for a special edition issue that gives fans everything they want to know about their favorite hit shows such as Fringe, Chuck, V, True Blood and more! Whether it's Smallville's Clark Kent, The Vampire Diaries' Damon Salvatore or The Big Bang Theory's Sheldon Cooper, Warner Bros. characters are some of the most memorable on TV. Check out all four original covers and then dig into the exclusive stories, from a Vampire Diaries' family tree to must-see Supernatural episodes, Q&As with the casts of many Warner Bros.' shows and an interview with the man behind the Human Target comics. TV Guide Magazine critic Matt Roush calls the heroes of Warner Bros.' TV shows "our first, and often last, defense against threats from all sinister corners of the universe and beyond." This issue is a chance for fans to get up close and personal with those unique characters. Warner Bros. Television Group will distribute copies of the magazine throughout the five days of Comic-Con (including Preview Night) exclusively at the Warner Bros. booth, #4545, on the convention floor. The special issue will then be available on newsstands beginning Monday, July 26. Collect all four! Three of the four covers. Click for BIGGER. ETA: The fourth cover. Click for BIGGER. Well beggars can't be choosers, so I'll take it even though a new picture would've been nice. Hey, at least it's not a promo pic from S4! :) I added a link to the press release, and images of three of the covers. I haven't seen the HQ one. Thanks. I love that the Smallville cover is just Tom. And what a Superman pose! That was nice of them to release the covers in HQ, they're gorgeous. I agree! I'm so glad to see him, and the show, in the spotlight! Even TV Guide loves gonturan!! LOL! I'm afraid the Welling is inescapable. The very least J2 can do is show up! This is really cool! I'm glad they chose Tom to be on one of those covers. 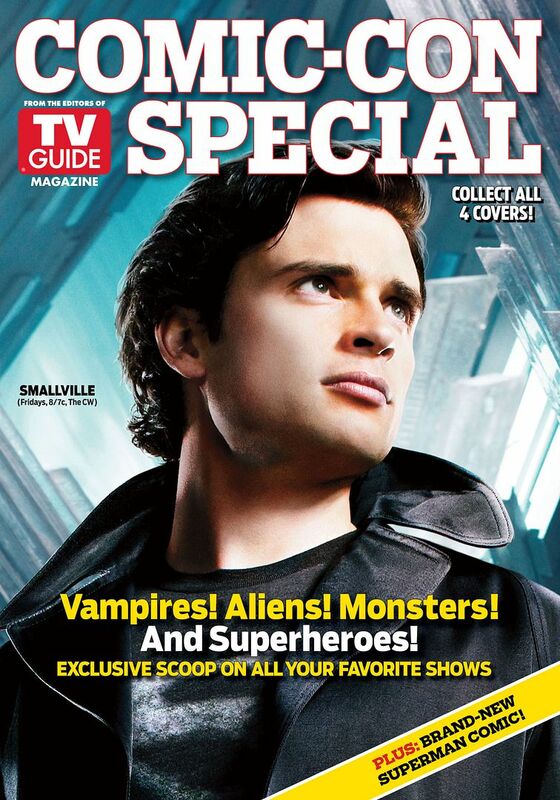 I'm so happy that Smallville is being featured, and that Tom alone was chosen to represent the show. Not to diminish any of the other characters or actors, but to me Smallville is Clark's story, not an ensemble, and it means a lot to me that they recognize that. 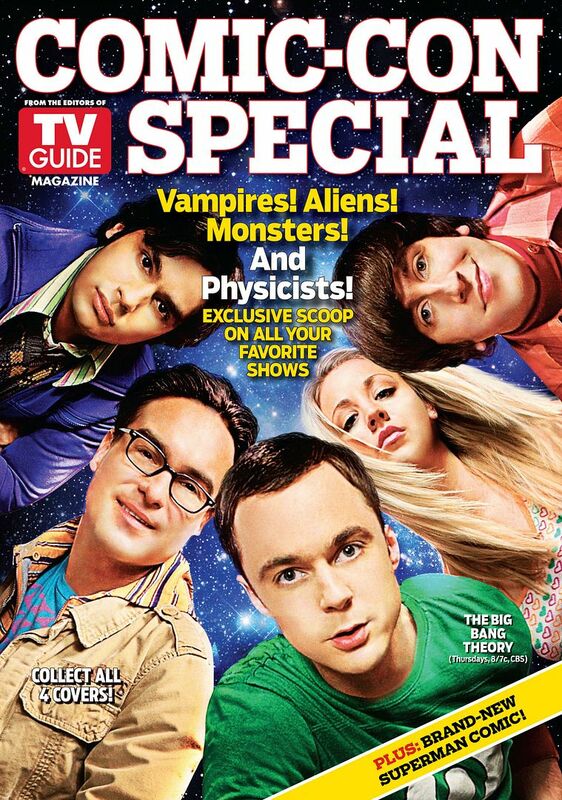 Very nice to see Tom's face on the TV Guide cover! The HQ version is stunning! I was so excited when the news hit Twitter this morning! And I couldn't believe how BIG the cover image was when I clicked that link in the press release. Wow. I just hope I can find the Tommy cover when the special issue hits the newsstands! Hopefully I can get my copy at SDCC. Good luck! I wonder if they'll hand out all the different covers each day, or feature them one at a time. Can you even contain your excitement that you're going?! Barely. I think the fact that I'm holding my excitement in so tightly is the reason I keep having disastrous dreams about what could happen when I finally go. First I had a dream that I was just about to take a picture with Tom and I didn't even have my camera (in RL I'd left it at my aunt's for, like, a month, so that dream prompted me to go get it), then I had a dream that the shuttle from the airport took us to the wrong hotel on the complete other side of town. It's nerve wracking. I'm getting multiple issues, its so hot! Thanks for sharing. Tom really deserves the cover! Thanks for sharing, Tariel! I need that Big Bang Theory one in my life! So cool! And word, at least it's not some crazy photoshopped picture from goodness knows when. So proud of the show and happy it's getting this publicity! Thanks for posting this! I love the new marketing images they've been using recently, that evoke the Clark we saw in Salvation. And it certainly looks like Warner Brothers intends to give Smallville the send-off the show deserves in its final season. I hope the CW will do the same. All of this is making me so excited for SDCC, and the new season! Hurray for a beautiful coverboy! Now I want Tom on Entertainment Weekly again - with an interview inside. Now I want Tom on Entertainment Weekly again - with an interview inside. Wouldn't that be glorious? With a photo shoot by Tony Doran, please! SDCC is going to be so awesome!! What is this, promotion for Smallville? I think I need to go lay down a bit, I'm not used to this. Ha ha. LOL! Really, what is this, Bizarro World? I hope this is just the beginning!